Charles “Chuck” McGrigg, Wine Institute’s Central States Counsel, was inducted into the NCSLA Hall of Fame in June 2016 after devoting his life to his family and his work. After graduating from Indiana University School of Law in 1970, Chuck worked for the Muncie Indiana Chamber of Commerce and began his first of many sessions with a state legislature. Subsequently, he worked his way up to vice president of the American Insurance Association. Chuck joined Wine Institute in 1974. During his 41-year tenure, he was instrumental in directing Institute work on thousands of bills that impact the way wine is sold today and made a long-lasting contribution to California. Chuck was involved in major issues like the transition of wine sales from Iowa’s control system into private sector sales in package and grocery stores. He was among the first to pass direct-to-consumer shipping outside of the West Coast and brought Missouri, Iowa and Nebraska into the “reciprocity” system in the very early days, creating a toe-hold that eventually spread to states throughout the Midwest and beyond. He was proud to have served as the appointed Associate Member representative on the NCSLA Executive Committee several times. While his accomplishments were many, Chuck was best known for his humility and sincerity; he treated everyone he met with dignity and respect. “I’m just a dumb old country lawyer,” was a far-from-the-truth, but frequent, Chuck-ism. Chuck was deeply committed to the job he loved until the day of his passing in February 2016. 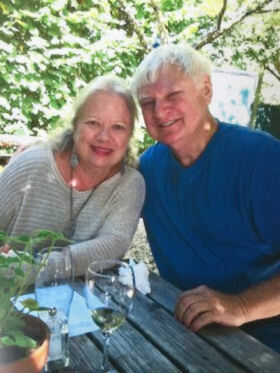 He touched the lives of winery members and the regulatory and legislative community with whom he worked. Chuck’s family – his wife Jeanette, children Matt, Josh and Maggie and seven grandchildren – were the light of his life and they are incredibly grateful for the NCSLA’s recognition of his legacy.